This story was sponsored by Beam. Things have been really busy around here planning and executing weddings, churning out quality content, working with my consulting clients, while still giving time to my family. It's a lot but I'm blessed to have a business that pays me to do what I love. However, being your own boss is like a double sided sword - there is the dream of working wherever and whenever you want. But then there’s the other side of struggling to find your rhythm, staying on top of things while being able to relax and take some time for yourself. I'm feeling a newfound sense of clarity, as I've finally expanded the team again! I've added a Coordinating Assistant [Welcome Sandy!] to free up my time to focus on producing quality and aesthetically pleasing content that benefits both you my readers and the brands I work with. I'm feeling more relaxed and finally getting a chance to really enjoy and authentically create value, while being able to spend more quality time with my kids. I mean isn't that the reason I'm doing this? As we approach the last quarter of the year, I’m excited about all the things that are happening. I really feel like all my hard work, blood sweat and tears are finally paying off. I've created an everyday essentials cocktail recipe inspired by my newfound clarity. I love this recipe because it is so refreshing and tasty. Plus it makes for the perfect drink in the middle of a work day - simply because I'm a BOSS and no one can tell me what to do! 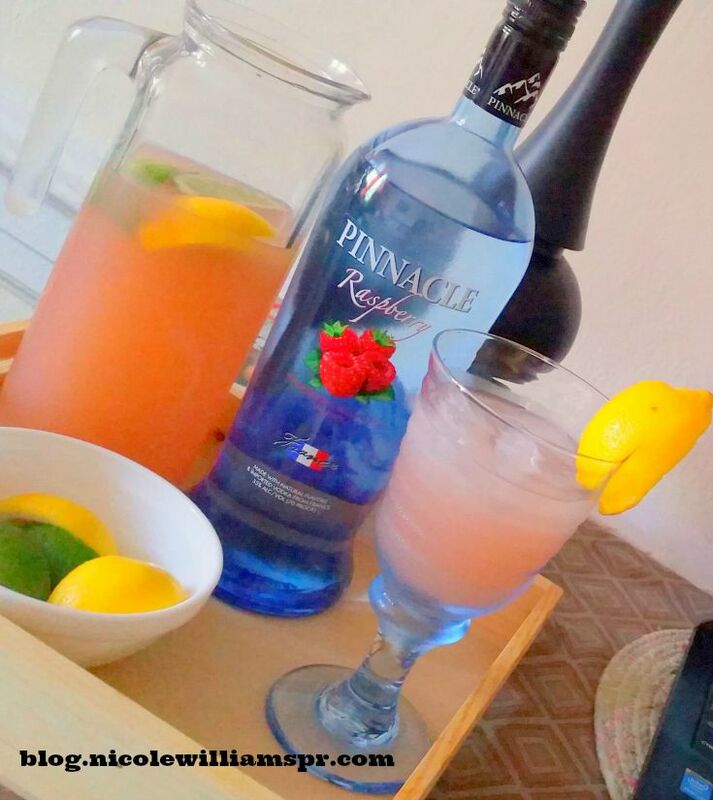 Put grapefruit juice, raspberry lemonade and Raspberry Pinnacle® Vodka into a pitcher. Stir with a long wooden spoon and add a few lemon and lime wedges. Serve over ice and garnish with a lemon wedge. Cocktail can be refrigerated for up to 10 hours. Pinnacle Vodka the cocktail BFF of choice.